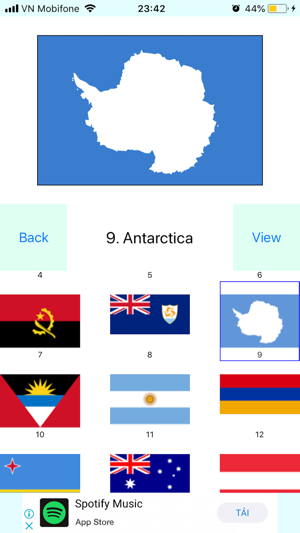 *FlagsInBrain is a great App with 250 Country's Flags. *FlagsInBrain is designed in a clear and beautify way, like a book of all Flags. 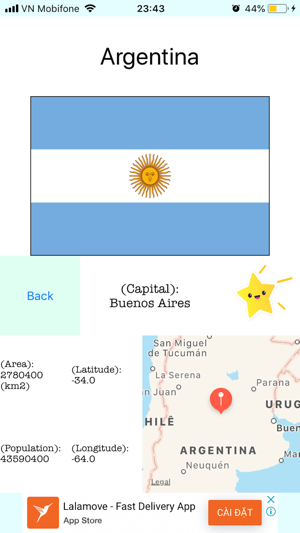 You will learn a lot from FlagsInBrain: 250 Country's Flags, Capitals, Area, Population... also with their Map. *You can use this App like an dictionary to learn yourself, or you can play with your Kids and teach them Flags. 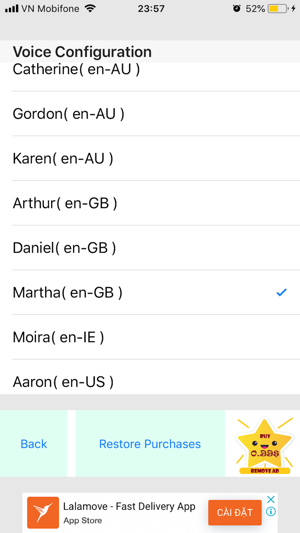 *A voice in FlagsInBrain help you to speak Country Name each time you select the Flag, or speak Country information for you. You can change the voice in the Setting. 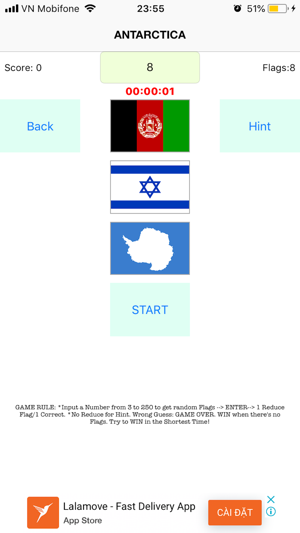 *There is a very funny game with the Flags, helps you to remember the Flags. 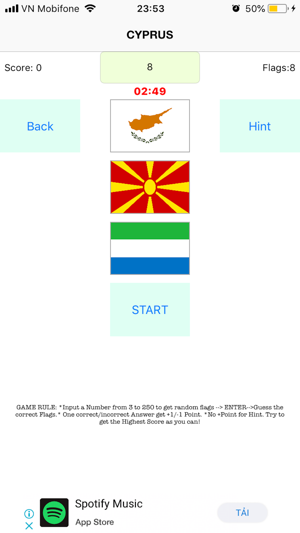 You can try with from 3-250 Flags to guess their Country Name. You will never be stuck because their is always a Hint to support you. *Game: "Highest Score". 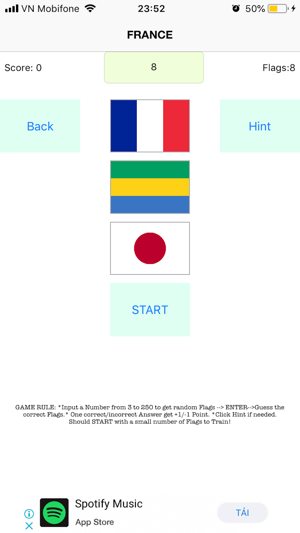 Try to guess as much correct Flags as possible in 3 minutes. You must be very hurry and accurate!!! 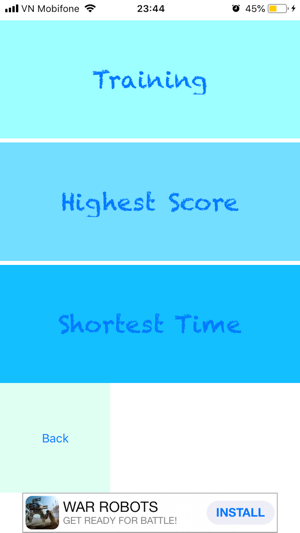 *Share your game score of the game “Highest Score”, or your Time of the game "Shortest Time" on your Facebook timeline with your friends. *So let’s try with FlagsInBrain, you will love it! 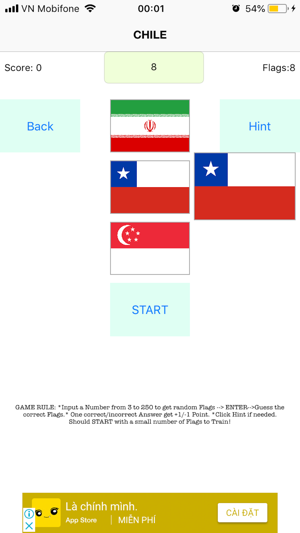 *FlagsInBrain is FREE with Advertisements. *If you like FlagsInBrain and don’t want Advertisements, you can BUY "REMOVE AD" by Tap in "REMOVE AD" button in Setting to remove Advertisements only once with only 0.99$. *If you had already purchased "REMOVE AD" once, you can restore purchases on every devices with the same Apple Id that used to buy "REMOVE AD", anytime by Tap in "Restore Purchases" button in Setting. Last edited by phund; 07-02-2018 at 11:12 AM. We wish you the best of success with the app. Thank you very much Moderator ! Thanks for sharing this app. 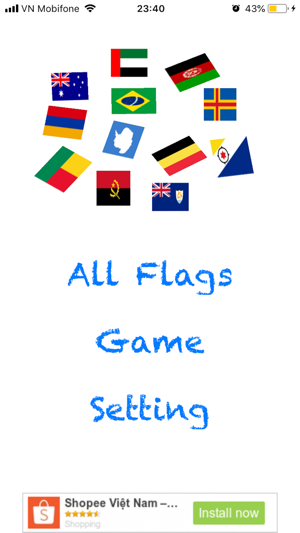 I have not used it but it is really a good idea to help kids to learn about flags. For which age group kids, this app is beneficial? This looks like an awesome idea even for adults who don’t know flags! I wish you all the best of luck with it! Am I eligible to still be covered by apple for the MacBook Pro Delamination.